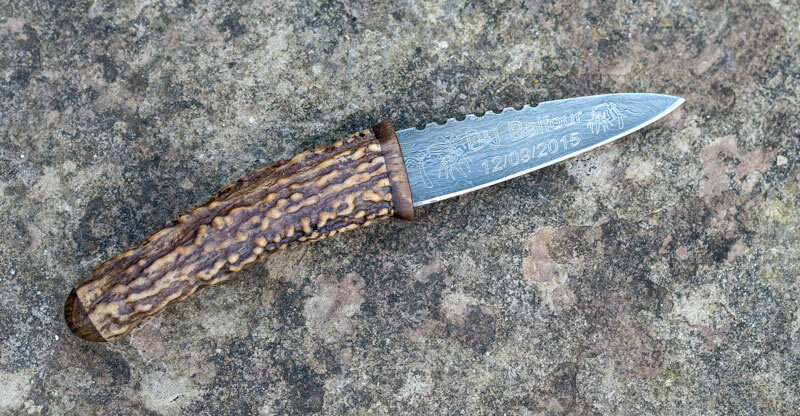 Antler | What's New at Rainnea Ltd.
“My Sgian Dubh arrived today Saturday, and I am delighted! I have to admit that the craftsmanship is even better than I expected. 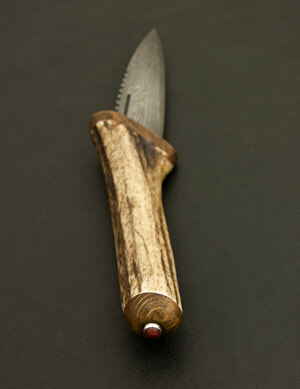 I made this Sgian Dubh for Bruce McClure who’s going to a wedding this weekend. 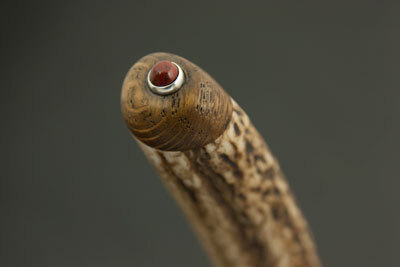 The handle is from local stag horn and oak, and has a small piece Fife Red Jasper set into a silver stud to finish it off. This is the first time I’ve used this fitting style to combine stone and antler.